Fundraiser by Warren Bernard : Defend The 11!! Last month, eleven members of the independent comics community along with one publisher were served with a defamation lawsuit because of concerns they raised about a fellow creator’s alleged pattern of sexual misconduct. Whit Taylor, Laura Knetzger, Josh O’Neill, Tom Kaczynski, Hazel Newlevant, Emma Louthan, Ben Passmore, Emi Gennis, Jordan Shiveley, Morgan Pielli and Rob Clough, as well as the indie comics publisher Uncivilized Books, all need our help to defend themselves against these charges! SPX has established a legal aid fund to support these members of our creative community in their time of need. 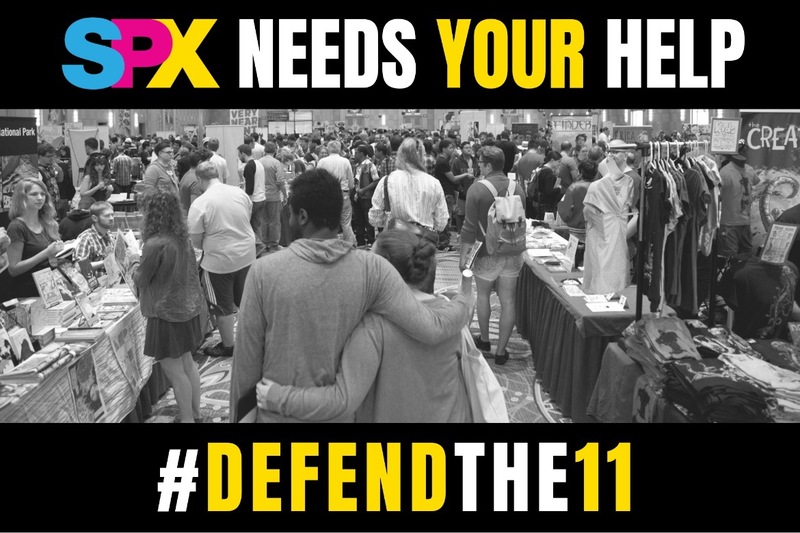 SPX is organizing this fund in consultation with the Comic Book Legal Defense Fund, which brings legal and fundraising experience to our effort. When news of the lawsuit reached us, SPX pledged $20,000 to ensure these creators have immediate access to quality legal representation - but defending these charges of defamation is likely to be a long and expensive process. In fact, nearly three-quarters of SPX’s initial pledge has already been paid to the lawyers prior to the launch of this GoFundMe campaign! This GoFundMe is the next step in raising the funds that will be needed to help these eleven people defend themselves. Depending on how the legal process unfolds, additional fundraisers may be needed in the future. Cases of this nature can continue for years, and cost hundreds of thousands of dollars, so please contribute today! And please check back for updates as they become available. We would like to bring everyone up to date on our court proceedings. When we were first served with lawsuit, a continuance was filed for each of us so we could work with our legal counsel to properly respond. Next month that response will become known when our legal team files our initial motions and answers. As 11 of use are being sued, the legal costs are that much greater. So this set of responsive pleadings will start to deplete the very generous GoFundMe contributions by all of you for which we are most grateful. We are deeply humbled and appreciative of the outpouring of support we have received in response to the #Defendthe11 GoFundMe that was launched a little over a week ago. Thank you to Warren Bernard, SPX, the CBLDF, our colleagues and friends in comics, and all of the generous people who have donated to our fundraiser and offered their support. Your donations are truly helping to ease our financial burden, as well as the stress that has resulted from it. 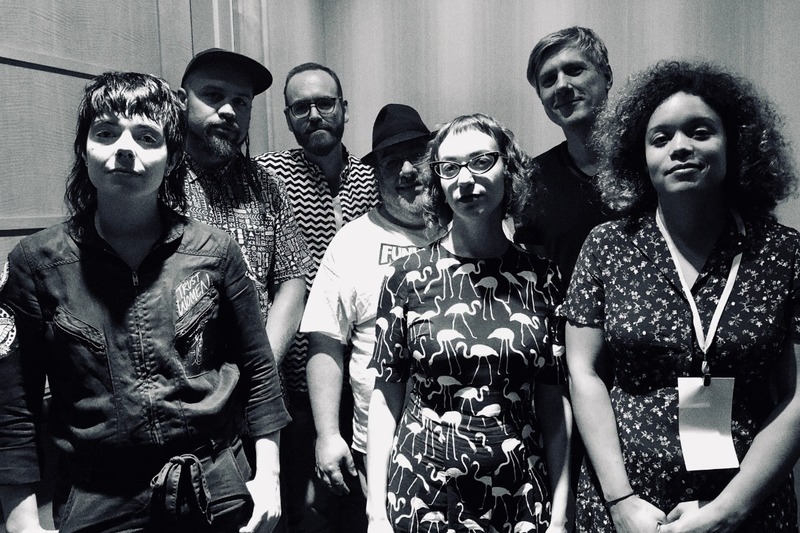 The photo shows 7 of The 11 at the SPX 2018 Ignatz Awards, where they received a roaring ovation. Left to right are Hazel Newlevant, Ben Passmore, Josh O'Neill, Rob Clough, Emi Gennis, Tom Kaczynski and Whit Taylor.